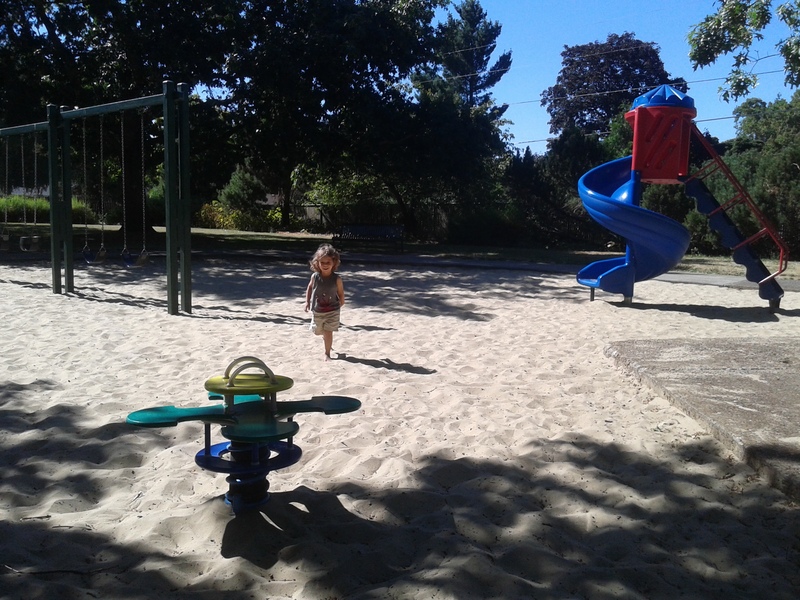 This is a special little park for me. 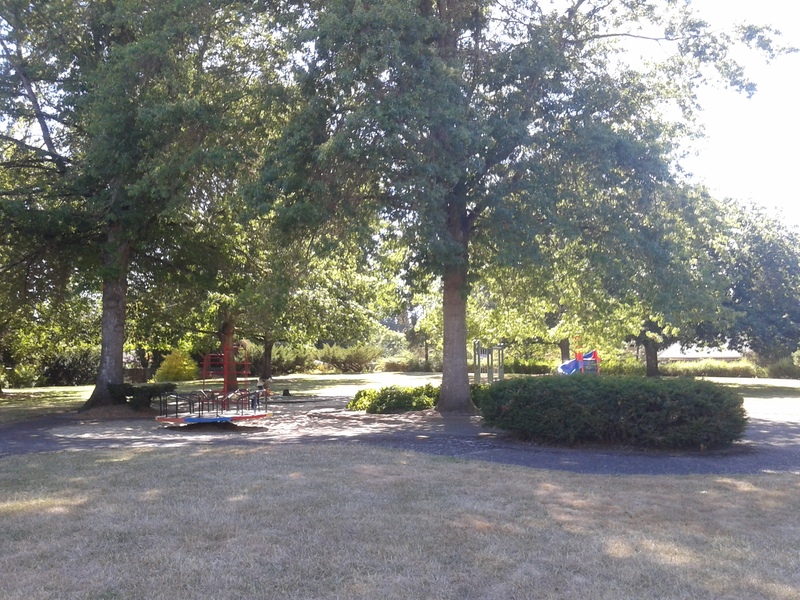 I used to ride my bike past this park almost everyday. 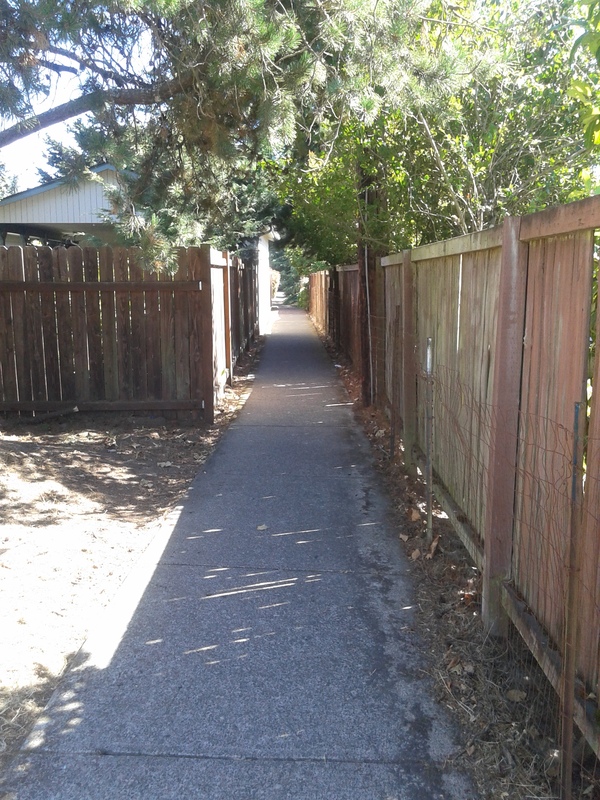 I would use this nifty little path from Lariat drive. 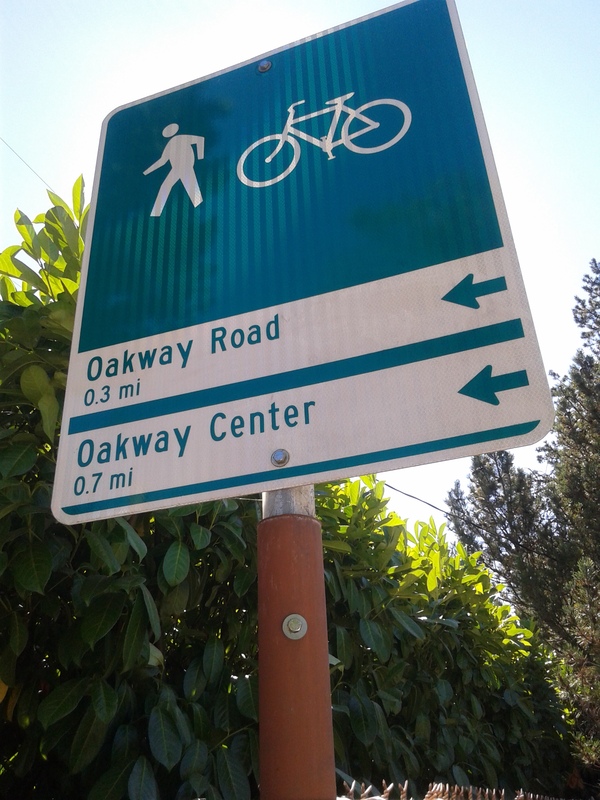 walk and bike right through to Oakway. I used to make daisy chains in the fields in the spring. 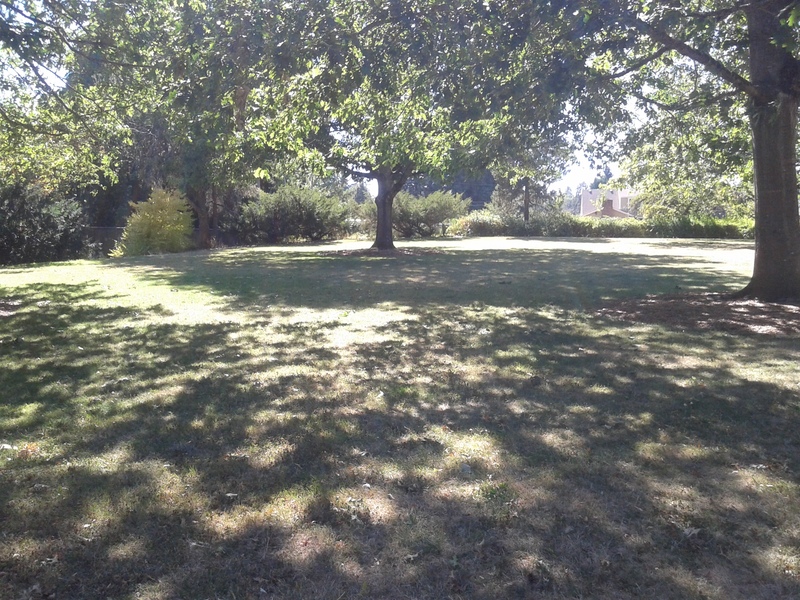 It’s a shady, secluded, fenced in park. (Fenced in on three sides, so no escaping kids! Hopefully). 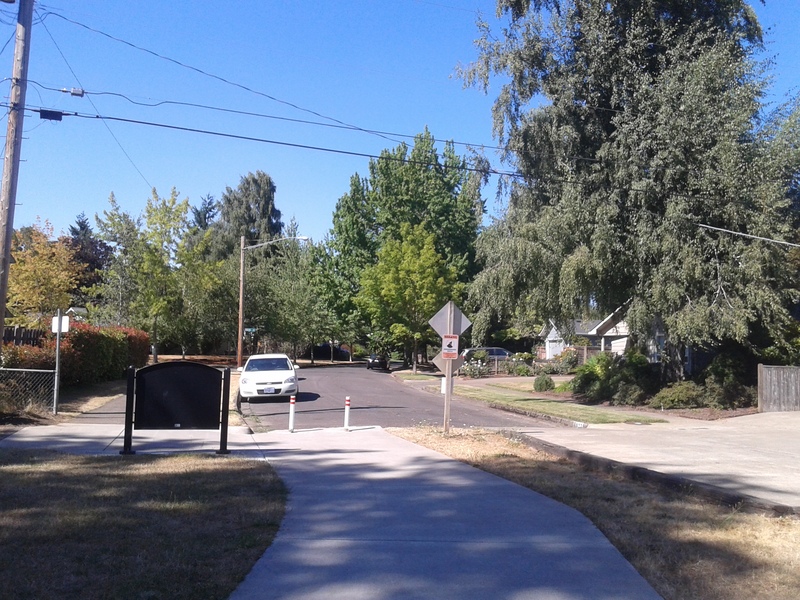 Getting there is nice and centrally located in Eugene, just off Coburg. 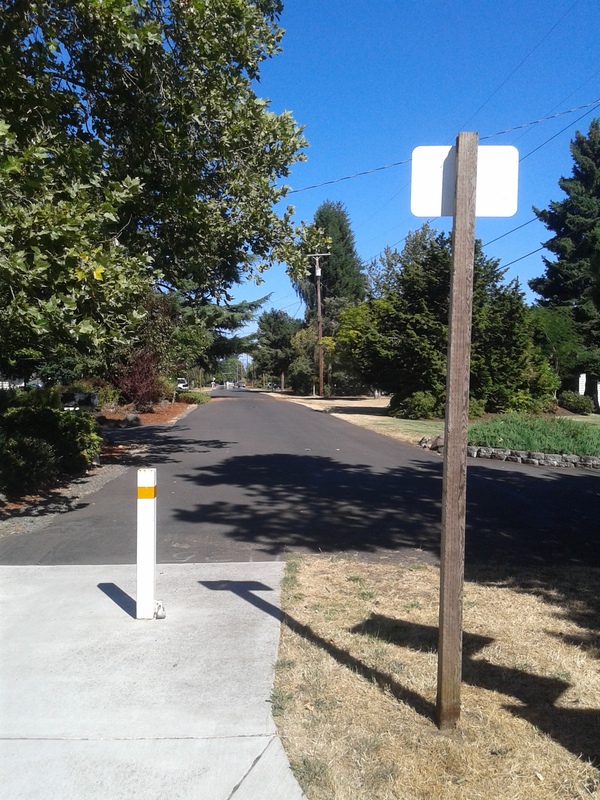 I like to park on Sharon way, since there are sidewalks. 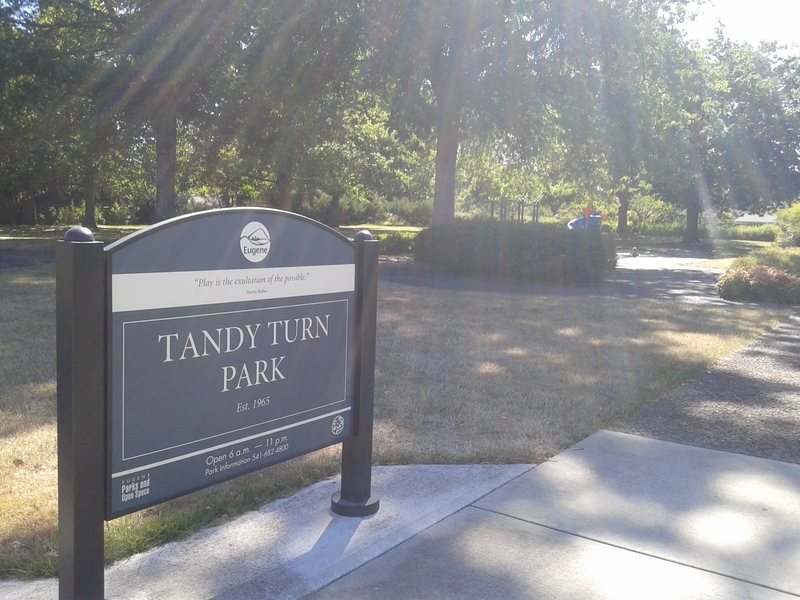 You can park on Tandy Turn as well, but I feel uncomfortable parking practically in people’s yard. 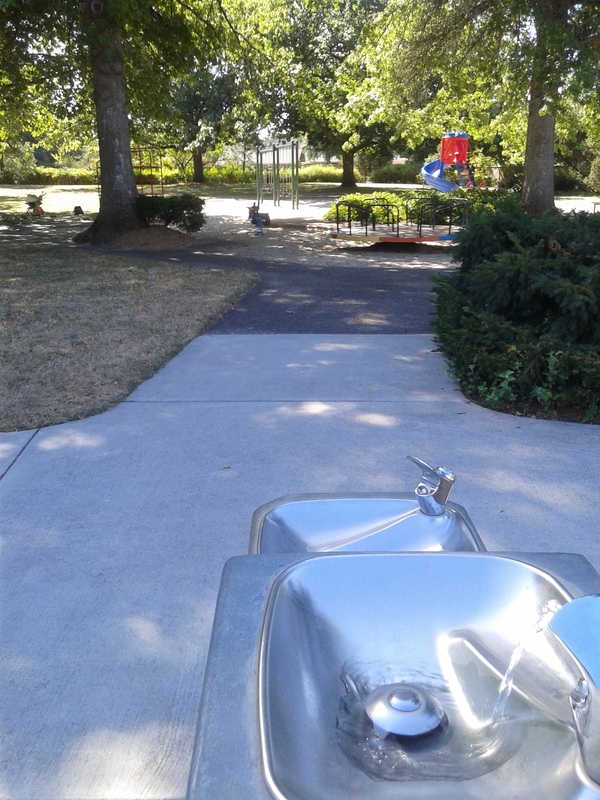 The park has water fountains, trash cans, and garbage, but no bathrooms. 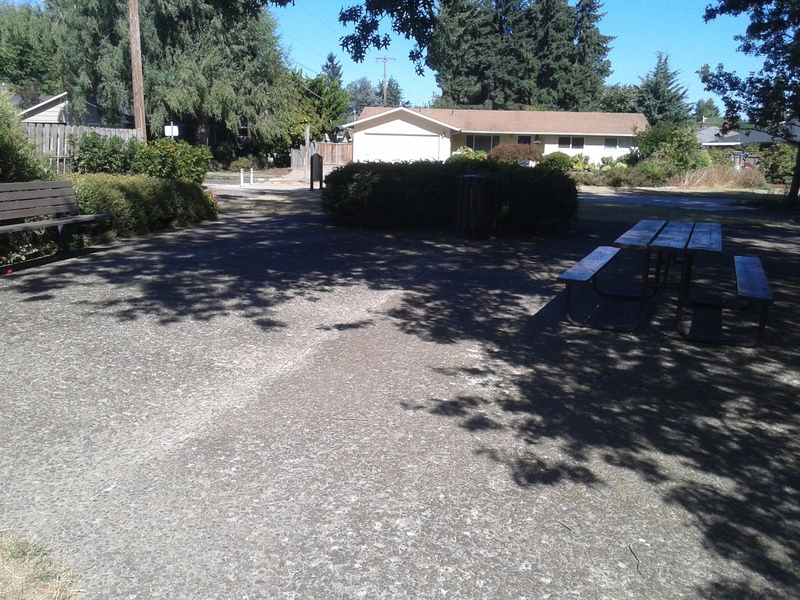 It also has some neat little paved paths that are perfect for scooting around on a balance bike or tricycle. 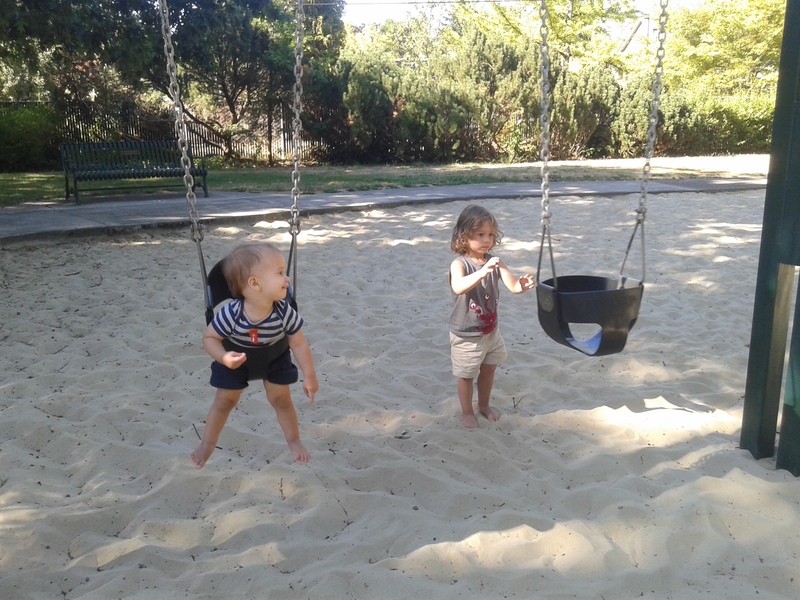 It has a very simple array of play structures and standard set of 2 baby swings and two regular swings. Two bouncers, one with 4 seats, and one with 2 seats that looks like a motorcycle! And a metal merry-go-round. The red structure is kind of a neat bird-cage shaped climbing structure. 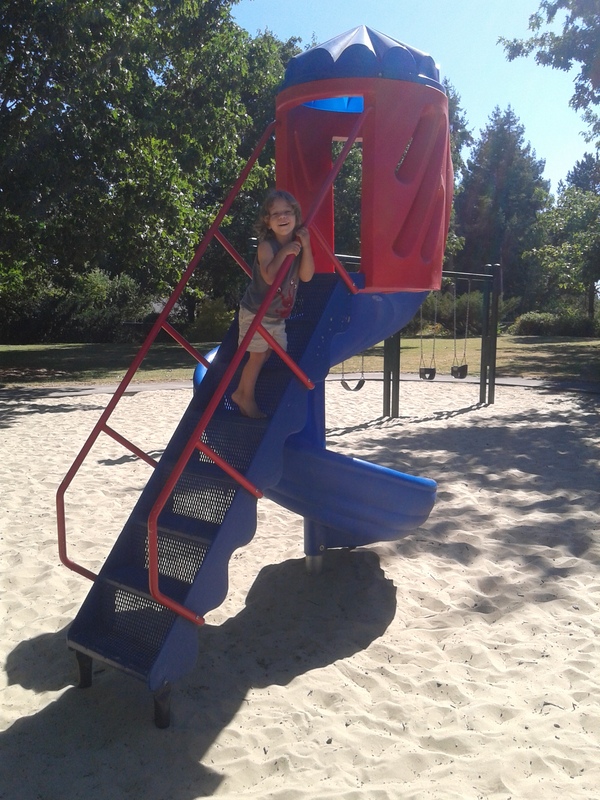 We like to pretend that the slide is a bakery. 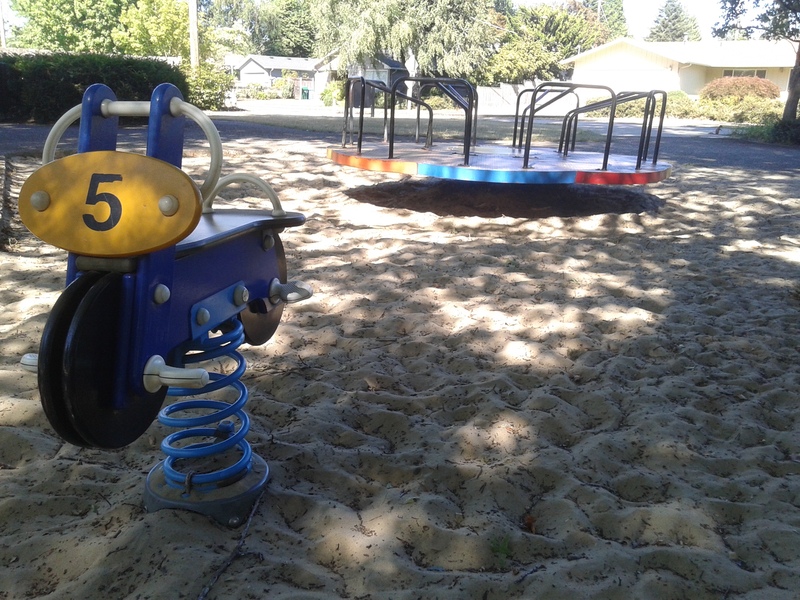 It has been a sand park as long as I remember, but the Eugene Parks district is currently changing a lot of sand parks to bark chips because it is safer to fall on. 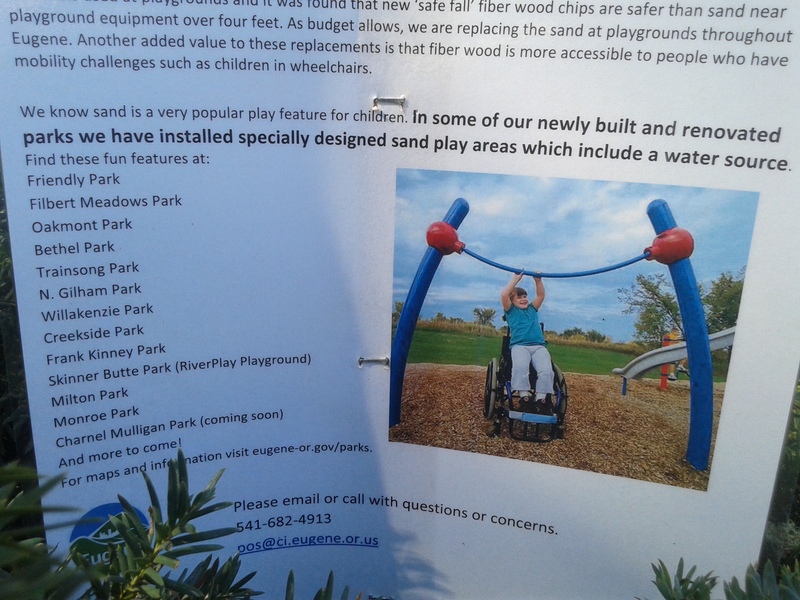 This already happened at Washington park, and is currently happening here too. 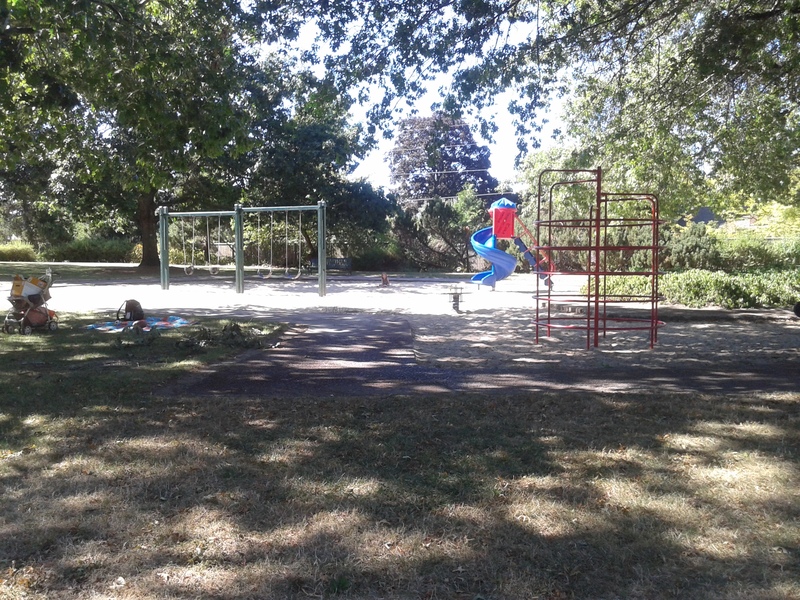 In fact, this park was closed yesterday! (Aug. 19th, 2015). So, I’ll try to update when I know for sure it’s open again. 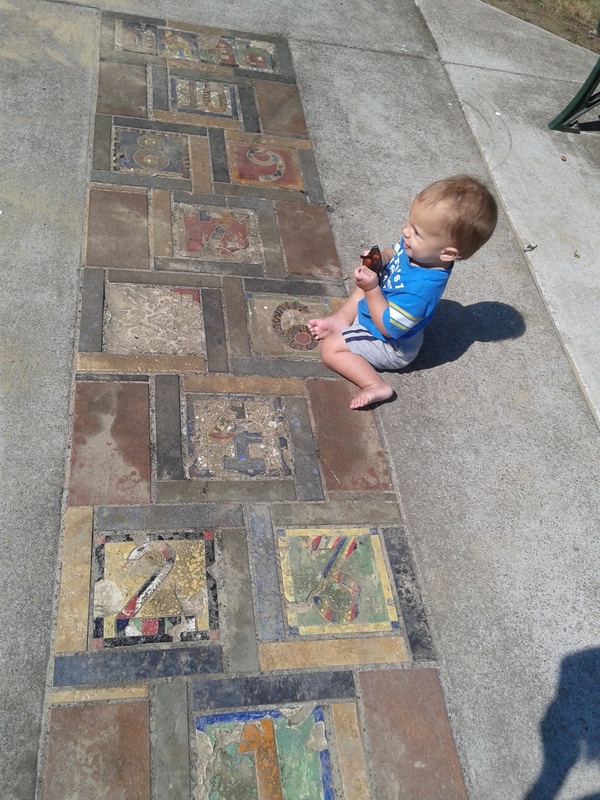 There’s also a super old looking hopscotch tile. I didn’t even notice this one until recently. 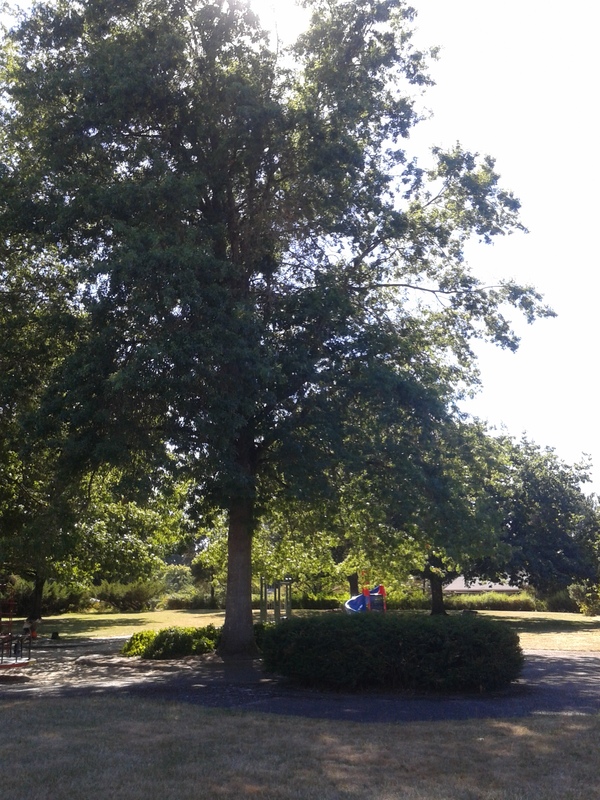 All, in all, I love this park for lazy summer afternoons, the trees keep it all nice and shady. Monroe Middle School is nearby, and occasionally I’ve shared the park with older kids, but personally I’ve never had any issues with that. 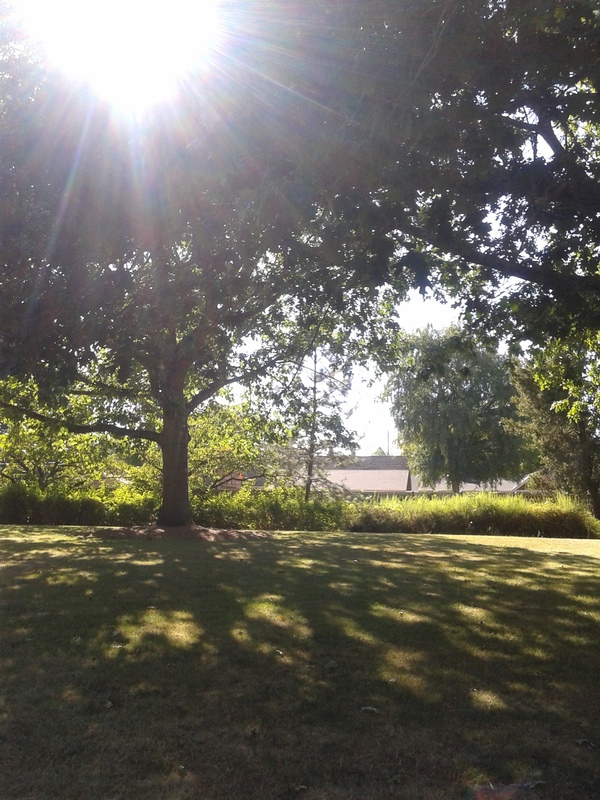 At different times of the day, different parts of the park are shady, so there’s a nice balance.